Running in 2015, our countryside school project locate in Cheur Teal Chrum village, Trapoang Chor commune, Aural district, Kompong Speu province. The school building constructed by wood and builded by local villagers. The first building of the school is 8m by 5m and build in March, 2015 and use as our main classroom. The building possible by generous donation from Cambodian, French and fundraising through online and charity concert by Khmer Magic Music Bus. The classroom can feed around 30 to 40 students per class. The second building is donate by Wankinson School and use for our office, teacher room and meeting hall. The third building is build by KYC and use for stage performance. The school has 5 hours English class per day. 2 hours in the morning and another 2 hours in the afternoon is for kids class. The kids class divide in 7 levels and there are pre-school, grade 1, grade 2, grade 3, grade 4, grade 5 and grade 6. The class start from 8 to 10 in the morning and from 2 to 4 in the afternoon. For adult class is only one hour in the evening from 5 to 6pm and divide in 13 levels from ESL0 to ESL12. Because we have only 1 classroom, so we divide in 2 difference groups. One group, study from Monday to Wednesday and another group from Thursday to Saturday. Until now we have around 300 students who study in our school and they come from different villages in Trapoang Chor commune. Beside English class we also provide 4hours computer class per day. The class start from 11am to 3pm. The course start form Typing skill to Microsoft office word, excel and powerpoint. All the class in our school is free of charge. In the community there are no electricity yet, so we use solar power and laptops for our computer class and electricity supplies. Lack of computer for students, we can accept only 4 students per each class. We hope to run more laptops when we have sponsor or abilities to purchase more. Beside English and Computer class, we also provide Leadership training and dance class for our students. Our dancing students already performance in many school events as Khmer New Year, Anniversary, and other ceremony. The idea is want to educate young people to know about their own arts and culture and spend some times to entertain themselves. Karuna Youth Cambodia( KYC) is dedicated to educating and empowering poor youth and children in Kampong Spue Province, Cambodi . KYC works directly with local communities where we establish our education centres to identify students who show motivation, merit, and need. We provide funding, training, and mentoring to lead students through secondary school to higher education, acquiring the skills they need for a sustainable future. Since 2016, we have provided fully funded scholarships to 8 students from Aural, Kampong Spue to pursue their high school education to university while 6 others have been provided free accommodation to continue their high school education. Karuna Youth Cambodia’s aim is to transform underprivileged youth and children into passionate, engaged young leaders who will work to transform themselves and their own communities. Our focus is to help these needy youth and children to become leaders by providing regular leadership training programs to students in Aural and Chreav Communities and our scholarship students in Phnom Penh. As the result some of our students become youth leaders and school leaders to run our education center programs. Having the basic such as uniforms, school supplies and bicycles for transport enable children in our communities to attend school and secure a future for themselves as well as their families. Many of them we work with come from underprivileged families in Aural and Chrev Communities in Kampong Spue province. To help them succeed KYC, through the support from individual donors, private companies and organizations, we are able to provide the basic necessities for the children. However, due to the increase in number of students attending at our schools we are not able to provide each children equally which means we need you to help us to get more school supplies and study materials for both the schools and children. 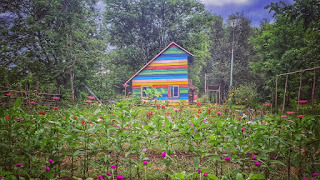 KYC has been operating Rainbow Home stay for locals and foreigners including volunteers to have a peacefully relax for short term and long term stay at our beautiful and colorful cozy wooden home by providing a delicious local food and rememberrable village live experiences. 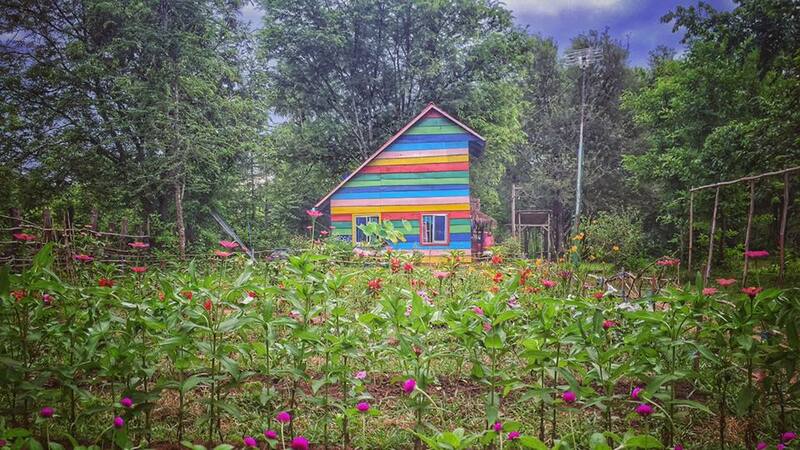 There is no minimum or maximum rate of the stay at our Rainbow Home. Guests pay for the stay as the donation at any amount to help us running both home stay and the schools. In addition to that, we tech our students to produce souvenir and hand made products to sell during national or charity events. 3. Providing jobs opportunity for our local villagers. Good health begins with clean water, clean hands and clean teeth. Good health is crucial for everyone. We cannot teach children and youth who are sick. We want to see our students learn what being healthy means. With the support from Medical Partner and generous group of students and individuals donors, this program aims to provide every student with free toothbrushes and toothpaste, medical checkup and treatment. In addition that, with teachers and group of medical students and medical partner who help to demonstrate how to brush correctly and conduct lessons on good oral and living hygiene.